The ancestor of the modern corn plant is a wild grass called teosinte. Teosinte grows wild on the Honduran/ Guatemalan border, and in the Sierra Madre Mountain Range in Mexico. Teosinte can be popped like popcorn, or ground into flour. The first corn cobs only had six to ten kernels. Archaeologist have found intact corn cobs in the Tehuacan Valley of Mexico that date back to 5000 B.C. Furthermore, from their excavations they know that corn was cultivated in this valley as long ago as 8000 B.C. Corn was able to develop in size by using the process of seed selection. The creation of corn, which no longer can grow wild on its own, required extensive weed cultivation and watering. Its demand led to the building of irrigation canals and farming terraces throughout the Western Hemisphere. The Maya used corn for a variety of reasons. They used young corn as a vegetable, they made popcorn with it, and they used dry corn to make flour. Also, all three, the Maya, Inca, and Aztecs loved to ferment it to make beer. Eventually, corn made up 80% of the Mayan diet. It took until 1,500 B.C. before cultures in the American Southwest were cultivating corn. Corn would not reach areas like Mississippi, Ohio, and Indiana until almost 200 A.D.
By the time Columbus landed in America, native Americans would have over 700 varieties under cultivation. These varieties were developed by cross-breeding and seed selection. Columbus himself would see corn for the first time on his first voyage in 1492. On an island in northern Antilles he would sample some corn flour that had been baked. He is said to have liked it. The Taino Indians on the island called it maize. Corn has been called many things over the centuries. The Aztecs called corn “centli”, which means “our mother” in Nahuatl. 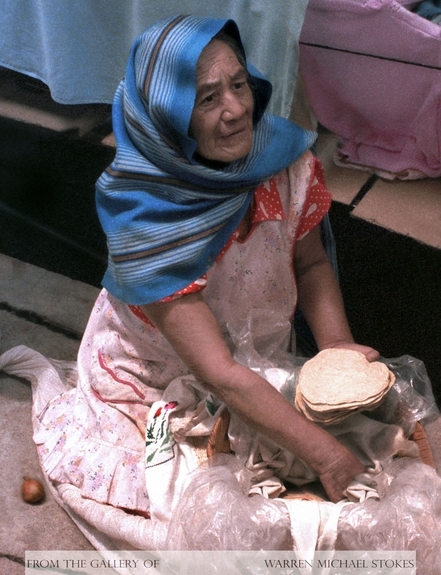 The Maya and the Aztec made tortillas and tamales from corn. They have been eaten for thousands of years and are both still staples in Mesoamerica. Today corn is the third most popular plant in the world, and there are over 3500 uses for it. Today we make biodegradable plastics, ink, and laundry detergents from corn. About 3/4ths of the corn now being grown is called dent corn which has a hard outer layer. Dent corn is made into corn syrup, starches, and oils. Also, corn is now being made into alcohol, and when it is mixed with gasoline it has been found to reduce air pollution. In all, over 75 million acres of corn are planted every year with a total value of 30 billion dollars.